Mediquations was developed in 2008 by a 3rd year medical student at UTMB and puts 85 medical calculations and scoring tools in your iPhone. 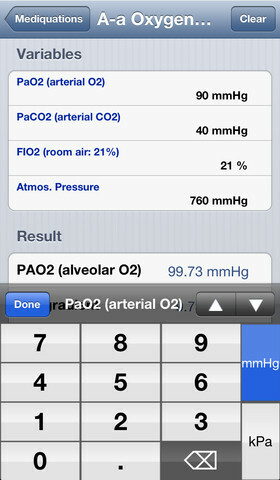 Frequent updates have made Mediquations one of the best medical calculators available for iOS devices. Mediquations supports US and SI units, and includes information on the use of the calculations. Mediquations is available from the iTunes/iPhone App Store. CURB-65 Score for Community Acquired Pneumonia NEW!